Susan joined MVS in March 2010 as part of the small animal and dairy veterinary teams. 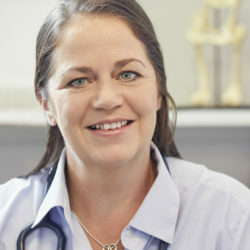 Susan graduated from Massey in 2001 and began her career in mixed animal practice in Taranaki. She then worked in the United Kingdom predominantly in small animal practice gaining invaluable experience in a range of veterinary clinics. Susan returned to North Waikato in 2006 to a mixed animal position and assisted in the management of multiple small animal branches. 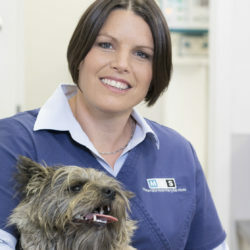 In 2007 Susan had her son Ben and in 2009 her daughter Holly, and began with Matamata Veterinary Services in 2010. March 2014 saw Susan take over the role of Small Animal Team Leader with the retirement of Nigel Kittow. As the team leader she focuses on ensuring that MVS provides excellence in veterinary care in a friendly and comfortable environment. Susan is an accredited PennHIP radiographer and is motivated to educate and help clients in the areas of inherited diseases including hip dysplasia and elbow dysplasia. Susan enjoys forming relationships with clients and their pets to help optimise pet health and well-being. She enjoys a diagnostic challenge and gets great pleasure out of seeing sick animals return to their former selves. When not working or looking after the family, Susan enjoys cycling, swimming and the outdoors. Alice joined MVS in October 2016 as part of the Small Animal Team. Alice graduated from Massey University in 1999 and then worked in Napier for 3 years. From Napier she moved to the UK and for 7 years worked in a large companion animal hospital over there. Once back in New Zealand she spent 2 years in practice in Christchurch, 4 years at Mount Maunganui and then onto MVS. Alice’s current role is as a senior small animal veterinarian with experience and interests in cardiology and ultrasonography. Outside of work Alice runs her lifestyle block with 2 dogs named Badger and Georgie, a cat called Arnold, a horse named Pippi, plus chooks and sheep. Alice enjoys gardening. 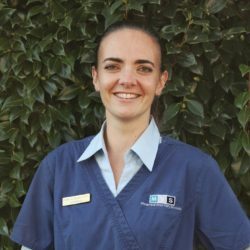 Kylie joined the MVS team in early 2017 as one of our companion animal vets. She graduated from Massey university in 2010 and moved with her husband to Australia where she worked for 3 years as a vet. They then moved to Canada where Kylie worked in a 24 hour emergency vet clinic where she gained valuable emergency medicine experience. They returned to New Zealand and worked in Gisborne for 2 years then took 12 months off being a vet for maternity leave. Kylie has special interests in feline internal medicine and ophthalmology (the study of eyes). She is currently studying to gain her Masters in small animal medicine. Outside of work, Kylie and her husband enjoy hiking, mountain biking and regular yoga practice. Their 2- year old son also keeps them very busy. Sarah joined MVS in June 2017 as part of our Small Animal Team. Sarah works part-time, job sharing with Kylie, to bring the Small Animal Team to three full-time vets. 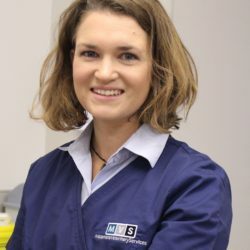 She has a particular interest in internal medicine and enjoys working through cases to find a solution and help a sick pet recover to their normal selves. Robert joined MVS in January 2019 to cover Kylie’s maternity leave and is part of our Small Animal Team. 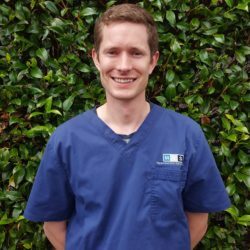 Robert graduated from Massey in 2012 and has experience in mixed and small animal practice. Robert is returning to the Waikato from a stint working North of the Bombay’s and some time locuming in different practices across the UK. In his spare time he can be found hiking, fishing, working in the garden or reading a good book.